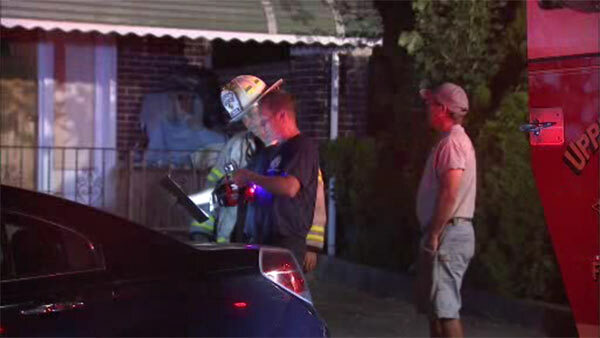 Blaze damages house in Upper Darby, Pa.
UPPER DARBY, Pa. (WPVI) -- A fast-moving fire damaged a house in Upper Darby, Pennsylvania early Wednesday morning. The fire broke out before 1:00 a.m. on the unit block of North State Road. Officials say one person was trapped but was able to get out safely. Fire crews focused in the kitchen area of the house. No word yet on what caused the blaze.